The Northwest branch was a rapid transit line which was part of the Chicago 'L' system from 1895 to 1951. The Northwest branch fed the Humboldt Park and Logan Square branches. It opened on May 6, 1895 and closed on February 25, 1951, when it was replaced by the Milwaukee-Dearborn Subway. The Northwest branch separated from the Metropolitan Main Line at the Marshfield Junction, just west of the Marshfield station. The Northwest branch divided into the Humboldt Park and Logan Square branches just northwest of the Damen station (originally called Robey). Service began on the Northwest branch on May 6, 1895, with service as far as Robey Street (Damen Avenue). On May 25, 1895, service began on the Logan Square branch and on July 29, 1895, service began on the Humboldt Park branch. 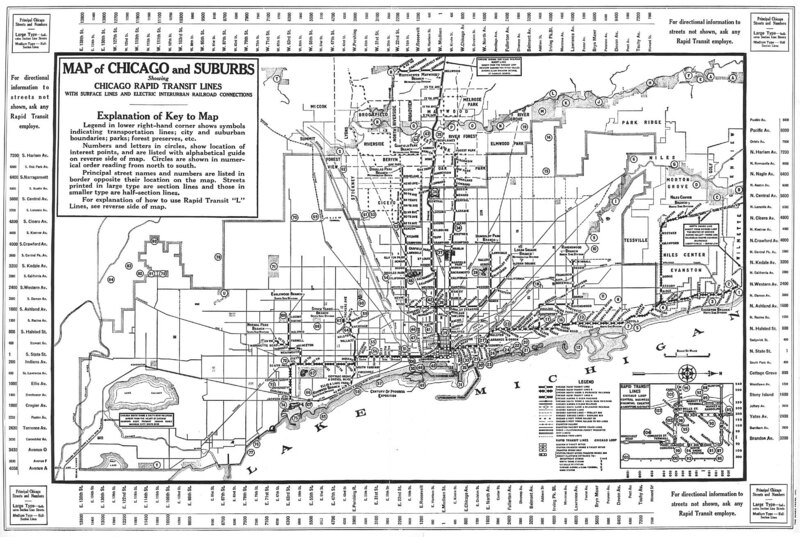 On February 25, 1951, the Milwaukee-Dearborn Subway began service, and service ended on the Northwest elevated branch south of the Damen Avenue station. 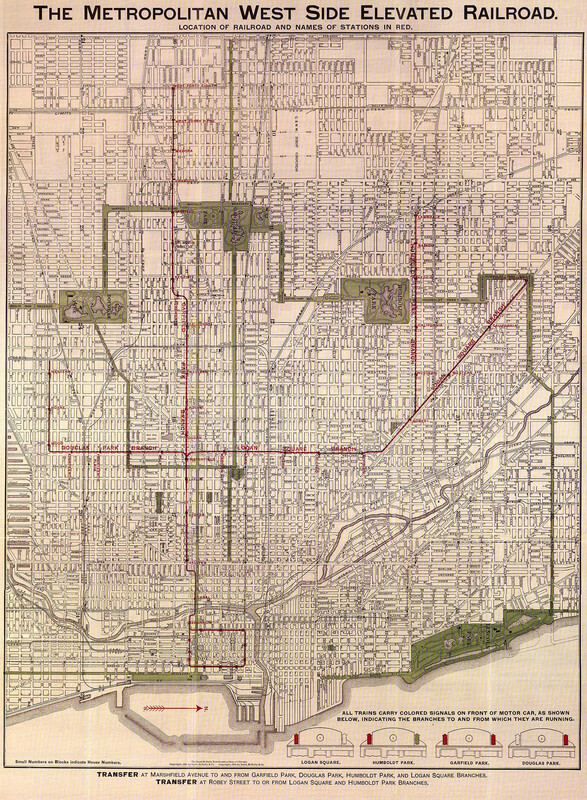 The Logan Square branch was then replaced by the Milwaukee Avenue Route, which utilized the Milwaukee Avenue elevated of the Logan Square branch and the Milwaukee-Dearborn Subway. Service on the Humboldt Park branch ended on May 4, 1952. Damen Avenue, North Avenue and Milwaukee Avenue Opened as "Robey"
Lake Street and Paulina Street Opened as "Lake." Transfer to Lake Street. ^ a b "Paulina Connector". Chicago "L".org. Retrieved August 18, 2013. ^ a b c 'L' Map of Chicago (Map). Chicago Rapid Transit Company. 1934. Retrieved 2013-08-18. ^ "Logan Square". Chicago "L".org. Retrieved August 16, 2013. ^ a b "Humboldt Park branch". Chicago "L".org. Retrieved August 16, 2013. 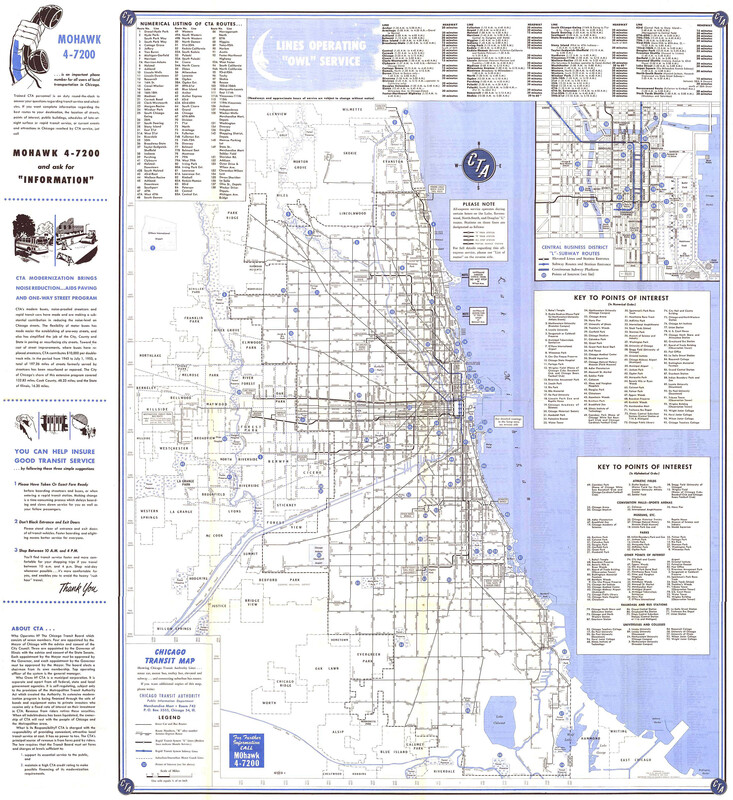 ^ a b Chicago Rapid Transit Map (Map). Chicago Rapid Transit Company. 1946. Retrieved 2013-08-18. ^ The Metropolitan West Side Elevated Railroad (Map). Metropolitan West Side Elevated Railroad. 1898. Retrieved 2013-08-18.